To block glare from the front, swing down the sun visor. To block glare from the side, remove the sun visor from the center mount and swing the visor to the side. Slide the extension sun visor in or out as needed. 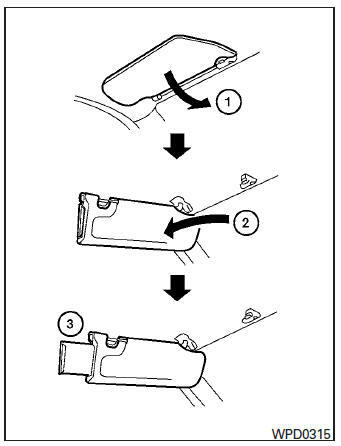 Do not store the sun visor before returning the extension to its original position. Do not pull the extension sun visor forcibly downward.